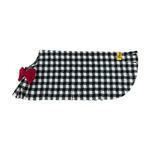 For dog clothing that your pup will actually love wearing, the Fleece Dog Poncho by Poocho in Blue Plaid with a red bow is a comfortable and fashionable option! 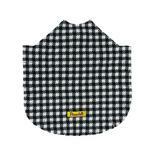 Your dog will feel comfort, warmth, and protection with the Blue Plaid Fleece Dog Poncho by Poocho. 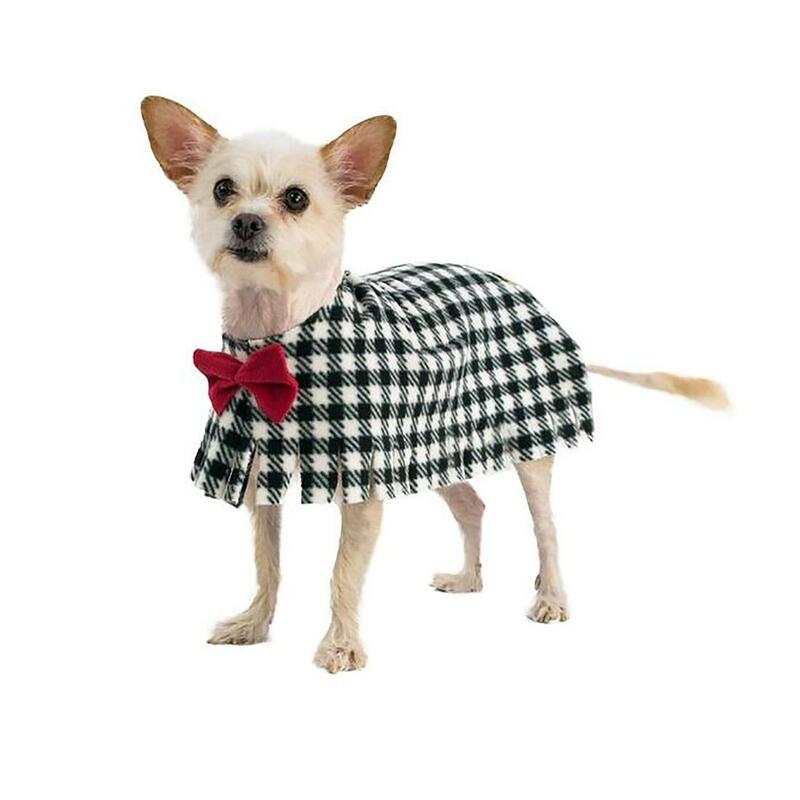 This revolutionary clothing for dogs provides the comfort of a fleece blanket in a fashionable style that stays in place without restricting your pet's movement. 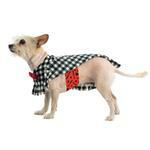 Instead of using stiff and loud Velcro, this pooch poncho features a soft elastic belly band to hold the garment in place. The snug fit provides clearance during potty breaks. The chest strap is printed with the endearing message, "Fur Baby," that can be read when the dog flips over. 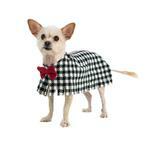 Fleece Dog Poncho by Poocho - Houndstooth with Bow Customer Photos - Send us your photo! Georgie loves her ponchos from Baxter Boo. They keep her warm and cozy on our walks, yet allow full freedom of movement. Putt Putt really loves to wear clothes! Every time I get something out for her, she turns circles and tries to get the item on by herself! Posted On 11/26/18 by Brenham from Brenham, TX Yes, Brenham recommends this product! We love the little poncho! I wanted something for her for Christmas that wasn't too fussy - she deserves to enjoy the day too! She really likes it! She started prancing around as soon as I got in on her. She is covered , warm and has freedom of movement. The little belly band that holds it on is really soft! We love Baxter Boo! Posted On 11/24/18 by Susan B from Green Valley, AZ Yes, Susan B recommends this product! I wasn't sure about this poncho, but I love it and so does my dog!!! He thinks he has his blankie. He loves it & the belly band is high enough up that he won't have an accident on it. I'm going to buy more!!! Posted On 08/29/18 by Debra P from Cranston, RI Yes, Debra P recommends this product!